Community philanthropy: true to life? Community Foundations are local – local people, local assets, local donors, local agencies, local capacities, local trust. They can easily exist in splendid isolation without interacting with other peers around the world. Last Sunday in Edinburgh, I went to visit a fantastic exhibition, ‘True to life‘. ‘Spray’, 1939, by Harold Williamson, as part of the ‘True to life’ exhibition. Photo credit: Russell-Cotes Art Gallery & Museum. 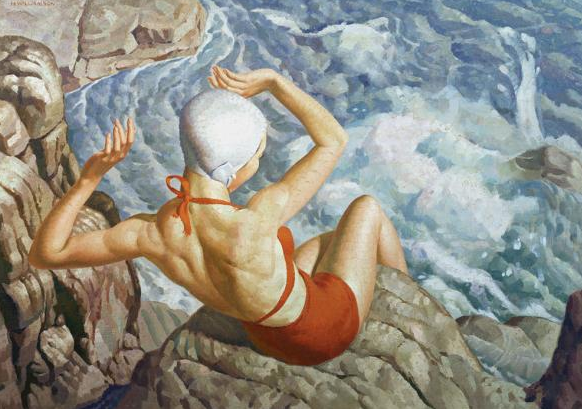 Focusing on British realist painting in the 1920s and 1930s, the exhibition brings for the first time together 50 British artists – including Gerald Brockhurst, Meredith Frampton, Laura Knight, James Cowie and Winifred Knights. Each of them famous for some years but almost completely forgotten after the Second World War when abstract art became fashionable. Realist art was a kind of world-wide trend in the interwar period, but single artists remained isolated in their individual success and failed to become a significant movement. Remaining scattered, they lacked visibility as a group and long-term footprint. They did not take advantage of the lessons learnt by another and in few years became a forgotten generation of artists. Heading to the first ever European Conference on Community Foundations, I couldn’t stop recalling the relevance of being part of national and international networks that those painters were lacking. How to make a more vocal case for stronger infrastructures organizations for community philanthropy? How to demonstrate the absolute importance of them in building a common inclusive and dynamic identity, to defend common interests, to speed up the learning process not starting every time again from scratch? How to demonstrate the need for stronger networks to engage established philanthropic institutions, family, corporate and venture philanthropy funders to invest in community philanthropy? How to demonstrate the need for stronger networks to prevent silos and mono-stakeholder bubble but instead to build effective partnership at local and international level with other meaningful stakeholders on social change and today big common challenges, for example on the United Nations 2030 Agenda and the SDGs – the Sustainable Development Goals? Two potentially weakening features, community philanthropy networks should bear in mind today: identity and vision. Community philanthropy is by nature characterized by being rooted in the local context. There is not one size fits all, not a single model to be replicated. Networks then should have an inclusive, dynamic collective identity around the fundamental components of assets, capacity and trust. As long as infrastructure organizations do not want to impose or parachute a model, they are key in the process of making community philanthropy more informed, more connected, valuing its diversity. Community philanthropy is also by nature expose to the risk of becoming self-referential in its community. But communities do not exist in isolation, especially in order to face today global, cultural, economic, and social challenges at local level. 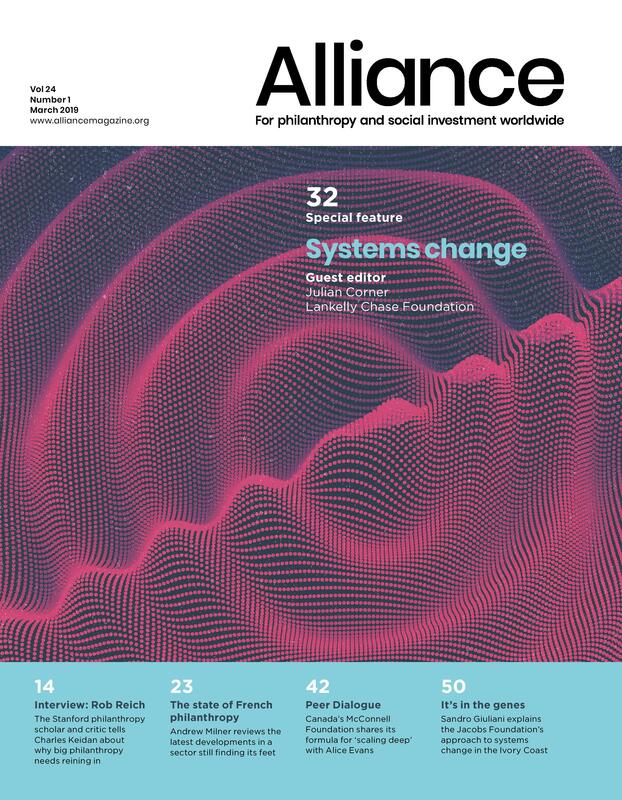 Community philanthropy networks with a vision of social change are ideally positioned to prevent fragmentation and build common actions and interactions with different stakeholders and agencies, for example for the SDG’s. Carola Carazzone is the secretary general for Assifero. Thank you for sharing this. Art exhibitions help me understand clearly how important networks are to art and to the creative process. We take it for granted that artists need networks, and if they are strong enough then the art becomes part of a movement. It is such a clear image for those of us who run and promote networks: imagine the world without the Impressionists, without the Cubists or the Realists, or without Art Noveau. Think how many times we read articles about artists which start with the phrase “She was part of a movement called ……… At Ariadne, when we first set it up we thought a lot about whether a modern network could be created and exist only in cyberspace. It was an interesting piece of experience for us that they didn’t seem able to, people still need the warmth of human contact to form real bonds and to learn from each other. But if they had developed the trust that personal contact engenders then digital contact could extend and deepen that relationship and the network, but it couldn’t substitute for it.